Hippity Hop, Time to Shop! Easter is early this year - Sunday, March 27! We're filling the shelves with Easter goodies so you can fill Easter baskets & brunch tables! 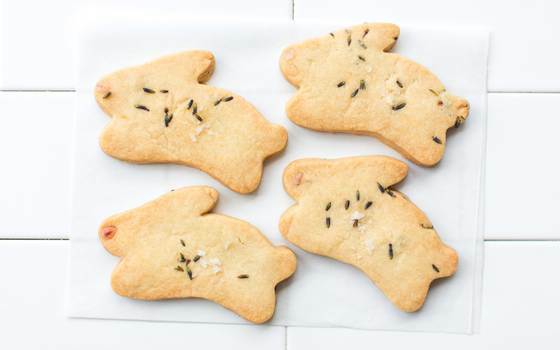 Find hand decorated Easter shortbread, honey vanilla bunnies, meyer lemon eggs, carrot cake, lavender sea salt shortbread rabbits & many more Spring goodies at all of our retail locations. Whole quiche, bake-at-home scone dough, and carrot ginger quickbread loaves make Easter brunch a cinch! Cookie decorating kits & select Easter items available on Good Eggs as well.